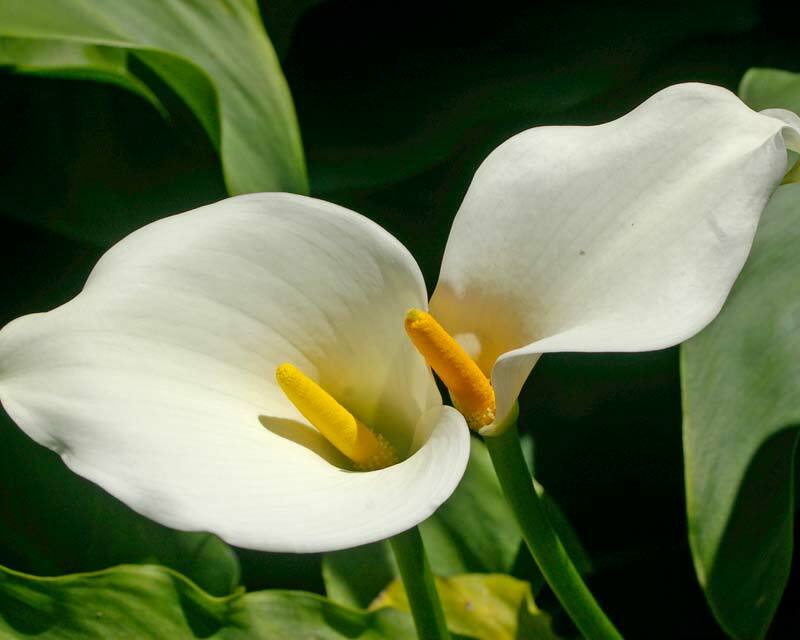 Despite having a long association with funerals, the arum lily - Zantedeschia aethiopica, is a highly popular garden plant, primarily grown for its strikingly exotic, pure white blooms. Otherwise known as the Calla lily, it is a native to southern Africa where its natural habitats are the waterlogged soils next to and even submerged in streams and ponds. 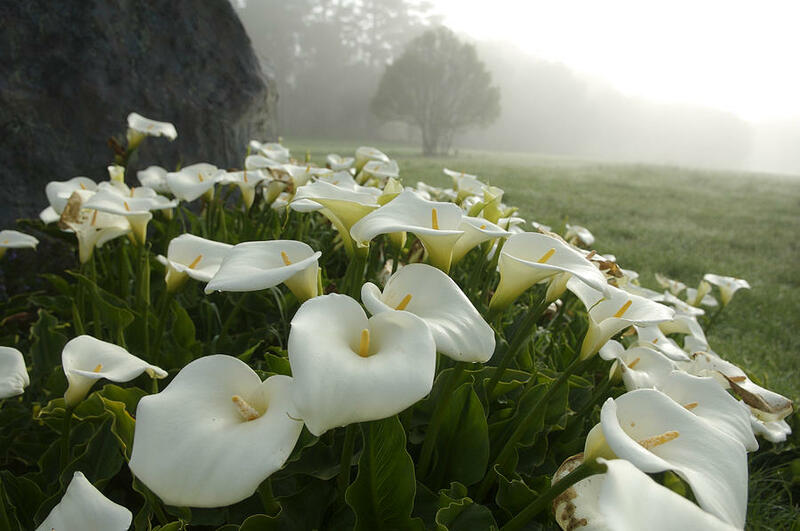 The arum lily will easy grow from seed and are best started in the spring, but before sowing they should be soaked in warm water (approximately 20-25 degrees Celsius) overnight. To prevent the water temperature from cooling place the seed and the warm water in a vacuum flask. Using a good quality compost such as John Innes 'Seed and Cutting', fill a 3 inch pot and sow at a rate of one seed per pot. Do not sink the seed into the soil, instead press the seed into the surface and then cover with either a thin layer of vermiculite or horticultural grit or a very thin layer of compost. This is because the presence of lights helps to initiate germination. Water thoroughly, but avoid waterlogging the compost, and place the pot inside a heated propagator at 20°C. If a propagator is not available to you then seal the pots inside a clear polythene bag and then place on a warm bright windowsill. Do not allow the compost to dry out and you can expect germination to occur from 3-4 weeks onward. Once the seedlings have emerged remove them from the propagator or polythene bag and place outside under the protection of an unheated greenhouse or coldframe. Keep the compost moist, but not waterlogged and once the roots have established in the pots they can be hardened off and planted out into their final position, but only after the threat of frost has passed. Plant your arum lilies in a moist soil in either full sun or partial shade. Choose a sheltered position out of strong winds and add some well-rotted organic matter before planting.